In cryptosolartech we develop cryptocurrency mining, obtaining our own with the help of 3.000 equipments, thus mining in two different variants to optimize profitability. In addition we can self-supply the farm with our own energy from a photovoltaic plant installed in the province of Seville (Spain), this energy can also be distributed as a service for electricity companies. Cryptosolartech, is an ICO (Initial Coin Offering), where the idea proposes two different facilities, to obtain a joint performance. First of all, we will have a farm, where 3.000 ASICS equipments will be installed to mine and obtain our own cryptocurrencies. It will be in Malaga (Spain), supervised by a team of experts in hardware and software for maintenance, and to obtain the best performance. Secondly, the renewable energy installation, which in this case will be solar energy through a photovoltaic plant, where we will obtain our own energy with a performance of 45.000 kW. Located in Seville (Spain), where the idea is to self-supply the mining farm and the sale of energy to electric companies. Cryptosolartech will use the Ethereum Blockchain for the management, income generation and start-up of the physical assets that form this project. The ultimate goal is the creation of a farm for cryptocurrency mining and a photovoltaic plant to generate electricity. You can participate in this project from anywhere in the world, acquiring CST Tokens through the Tokens sale platform at the Cryptosolartech website https://goo.gl/tzYb5B. The minimum investment is 100 CST. 1.260 million CST Tokens will be issued without the possibility of generating more Tokens in the future, and CST Tokens that are not sold during the ICO will be burned. As you can see, it is a project that unites Blockchain technology, which provides security for the investor and commits to sustainable and clean energy for the environment, as is solar energy. 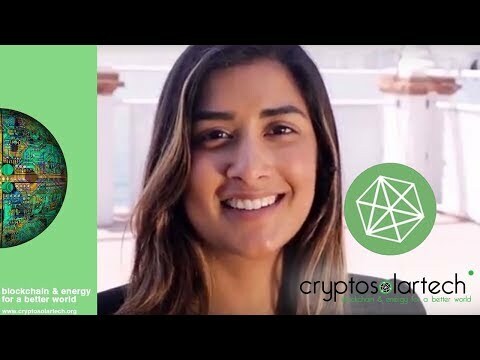 Security and sustainability under the name of Cryptosolartech. Very cool project, great mission and vision, and a top class team. The hardcap seems a bit too large, but other than that it seems like a great project. Good luck! Request Authorization of Public Constructions. Acquisition of industrial warehouse for the development of mining. Application for Construction License for photovoltaic plants. Conditioning of facilities for the development of mining. Installation of the photovoltaic plant. Start of photovoltaic activity and mining operations.